The basic detail that any website owner looks for is how to effectively increase traffic to their website. New web pages are uploaded almost every minute, and on the Internet it’s all about where your page ranks on Google or the other major search engines. Due to this competition, your efforts require intensive planning, research and development. The traffic on any web page is motivated mainly by the content of the page, back links from other web sites and how much information you provide on a certain topic. One of the best ways to advertise the page is by making sure it comes up in the first few pages of the popular search engines. How is that done? Read on. 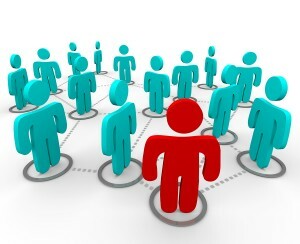 The search engines check the webpage content for the presence of keywords. The page is rated based on the total number of keywords it contains that pertain to the search query, and then awarded certain placement. However, it takes more than just one page; it takes a minimum of 5 to 10 pages. I say “minimum” loosely since the competition has become fierce. Obviously, more relative content on your blogs, press releases and articles will give you an edge over your competitors. The web page placement, therefore, is based on this in the final search result page. For a page to rank at the top of any Search Engines, the page should be optimized with search queries in mind. Optimizing the content of web pages for a search engine is no layman’s task. It requires the skilled guidance of professionals. Professional SEO consultants provide SEO services that aim at optimizing the content for search engines. Their fees depend on the size and content of the webpage; they may offer various monthly packages, since this doesn’t happen overnight. The finished articles, entered on a client’s dynamic webpage, are keyword rich. They’re termed as SEO articles, where SEO refers to Search Engine Optimization. The consultants who provide these services are referred to, in turn, as SEO consultants. As copywriters, we provide services by promoting the client’s goals via optimized, keyword-rich content. SEO copywriters usually work as freelancers, but may be associated with a SEO firm. They charge an amount proportional to the number of words and the time spent on the article, ultimately helping promote the site and increase traffic. This is not the only way, but it’s a start. Since the major search engines are continuously looking at content, don’t be surprised if your page ranks #1 on Google one day then disappears the next. That’s another topic all together, though. Effectively increase more traffic to your website by being proactive in your content, make sure you are constantly uploading fresh material, and use your web-based relationships to get back links.